A new element to a videoconferencing program will allow students in remote locations to participate in classroom activities, thanks to their ability to independently operate new remote control robotic functions. Swivl has launched Swivl Cloud Live, which is designed to allow teachers to connect with chronically homebound students, planned absentees, distance learners and guest speakers or instructors. It is the second announcement of an enhancement by Swivl in the last week and the third in the last six months. 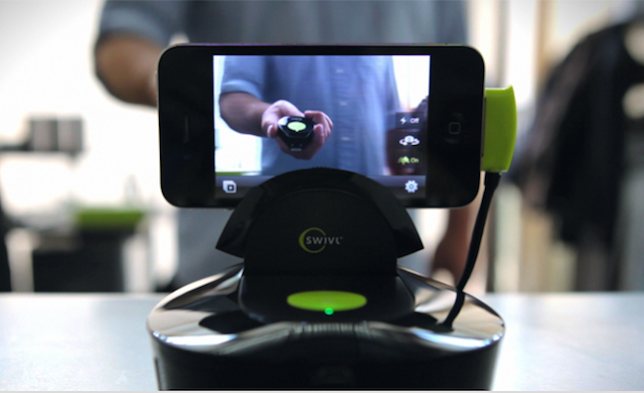 Last October, Swivl Robot moved from beta mode to full distribution. Compatible with both iOS and Android devices, it could tilt and rotate to follow a teacher as he or she moved around the classroom as well as record wireless video and audio before automatically uploading the recordings to its network. Then a week ago, the company updated all of its cloud-based subscription plans to do away with storage limits. All account holders can now upload and permanently host an unlimited amount of content on Swivl Cloud. At the same time, educators can embed video from external sites (like learning management systems) and directly upload PowerPoint slides. This week's announcement means that remote students can participate in the classroom by actively engaging in dialogue and group activities. While Swivl Cloud Live is currently available through closed beta, it is expected to be available in full distribution this summer, in time for teachers to prepare for its use during the next school year. "We always had the intent to develop the application," said Swivl Co-Founder Brian Lamb, "but we wanted to do it right and ensure we took full advantage of all of Swivl's Robot and Cloud capabilities."